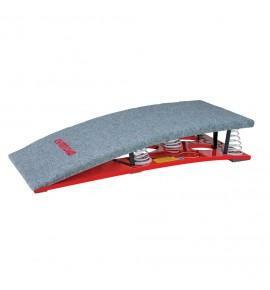 Vaulting table featuring a two-tone dynamic body with a soft front section for shock absorption and a non-slip top covering the hand placement area. 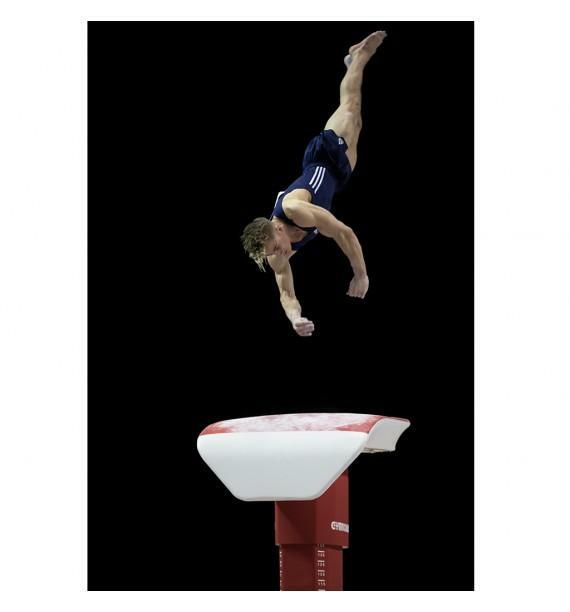 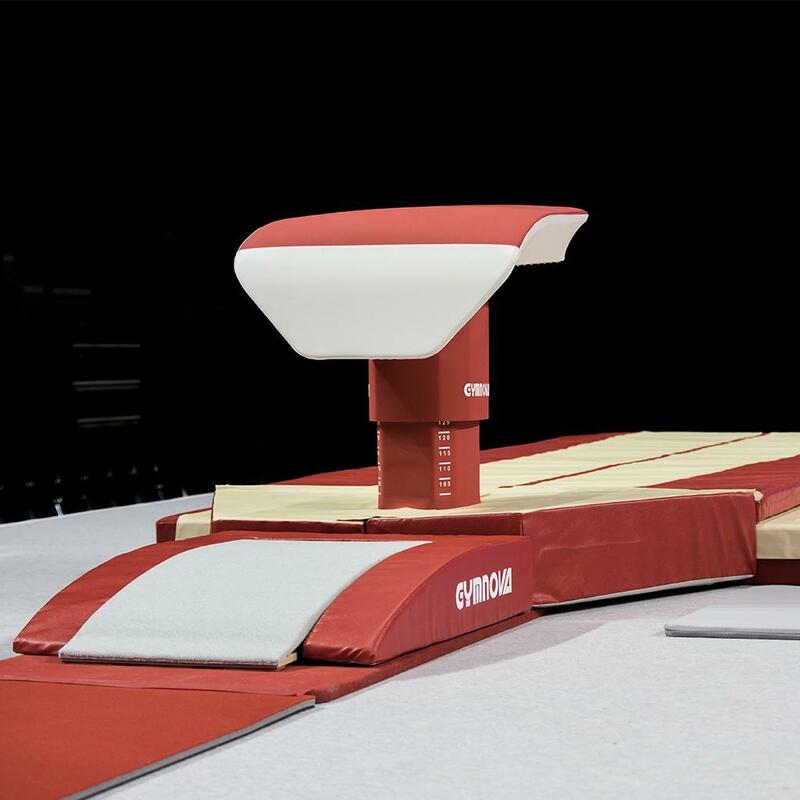 With the body using a complex of dynamic foam and springs, this new vaulting table gives gymnasts a fast, dynamic response. 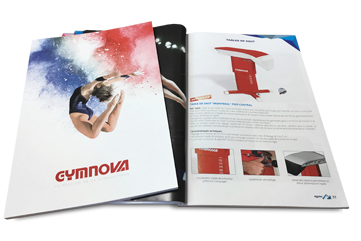 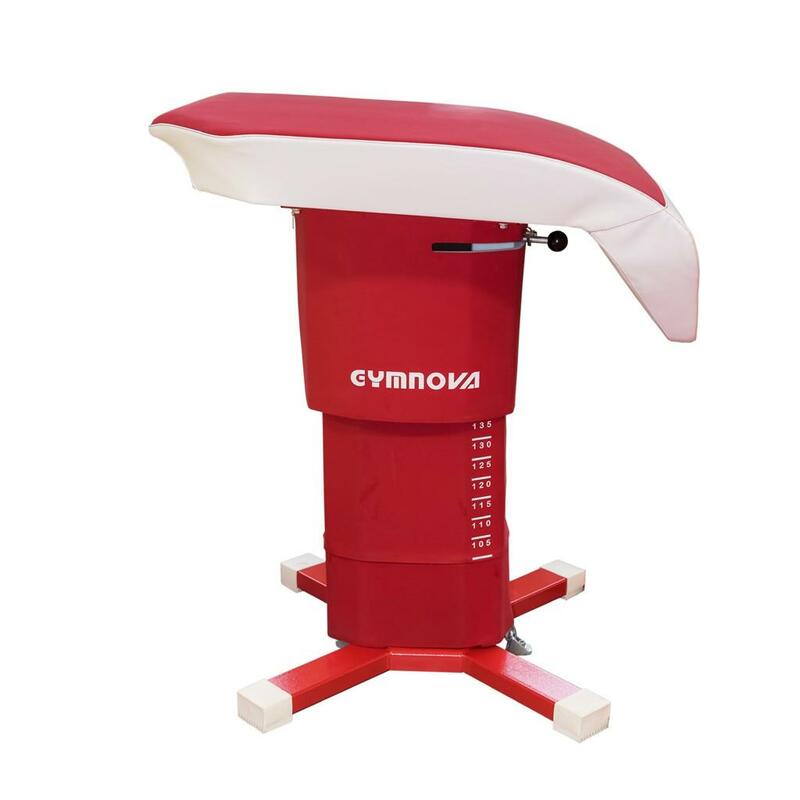 It is very comfortable to use and reduces gymnasts' fear thanks to its reassuring shape and its comfort layer positioned over the whole hand placement area to soften impacts. 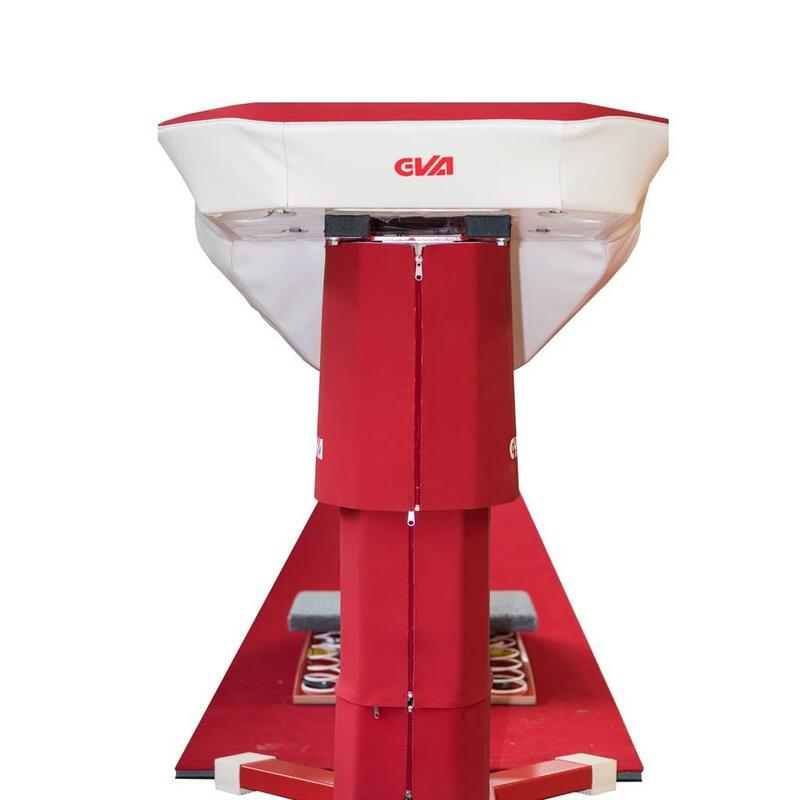 The new adjustment system makes it easy to adjust height with one operation without bending down. User safety is ensured by the pre-formed foam guard covering the whole vertical column (3-part protection). 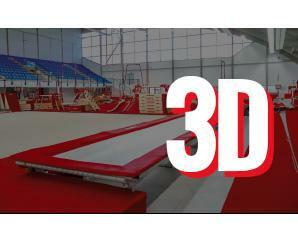 - Height adjustment between 1 and 1.35 m without removing the guard with locking notches at 5 cm intervals. 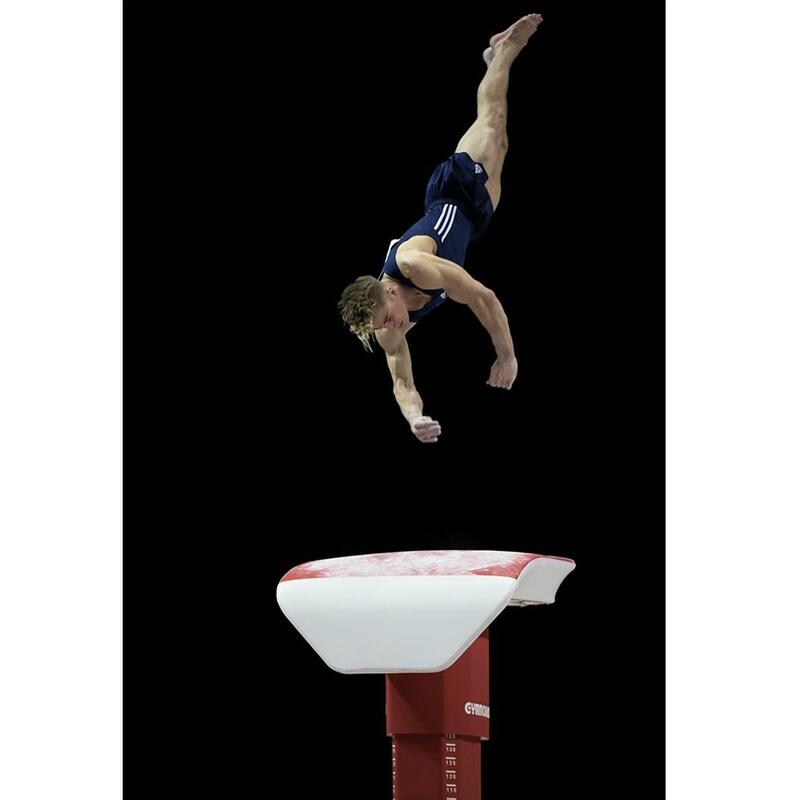 - Quick height read-off thanks to the marker points on both sides of the pedestal guard. 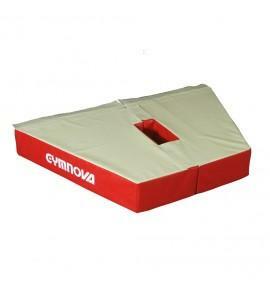 - Supplied with pedestal guard (Ref. 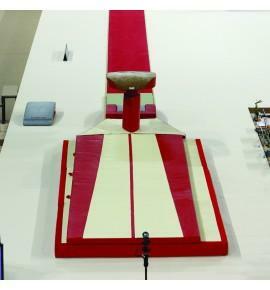 3402) and fixing system to floor (without anchor points).